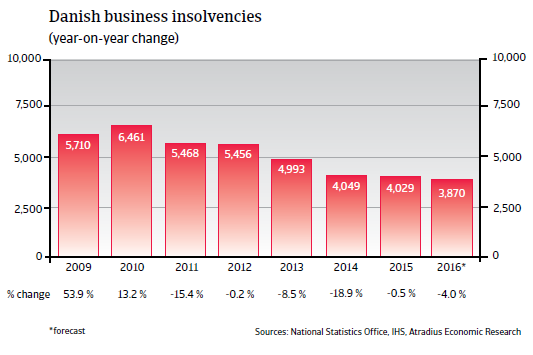 Danish business insolvencies decreased sharply in 2013 and 2014, but this positive trend has slowed down since 2015. In 2016 a decrease of 4% is expected, bringing insolvency cases to around 3,900. 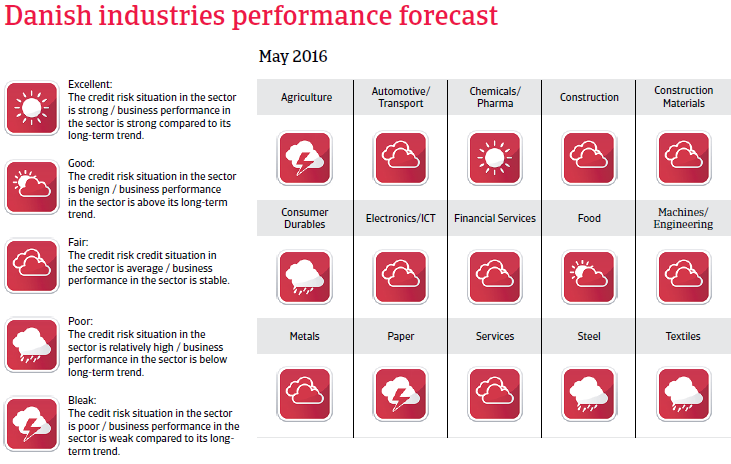 The Danish economy is expected to grow 1.4% in 2016 spurred by improved investment and growing exports. 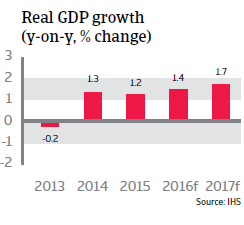 Externally, the Danish economy has regained some of its international competitiveness due to structural reforms that addressed the issue of high labour costs. Avoiding a major appreciation of the krone against the euro helps Danish firms remain competitive in their eurozone export destinations. 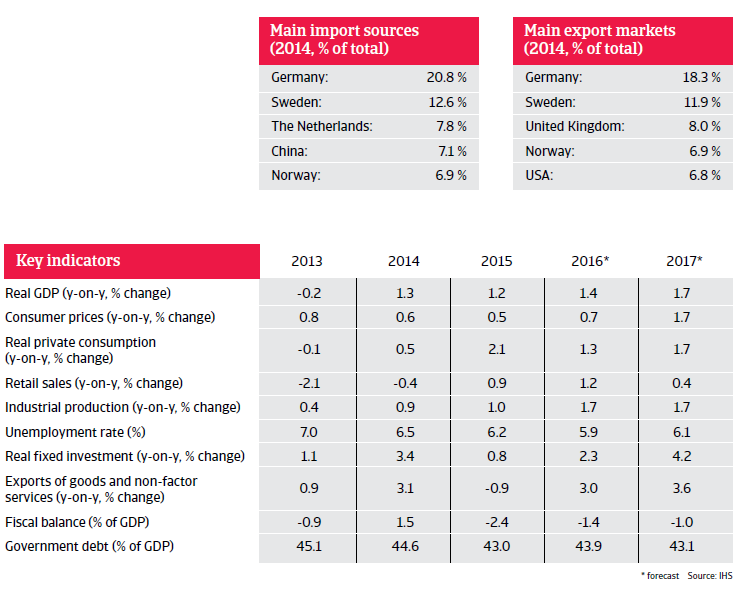 Danish exporters will also benefit from rising demand as a result of a devalued euro. 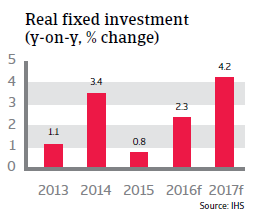 However, private consumption growth will remain subdued in 2016.